Hi! I'm in a bit of a rut -- I have been diligently reviewing since January almost everyday. I have gone through the MGMAT books (including questions), OG 13 Quant Questions, MGMAT Advanced Quant, and am now (supposedly) at the latter end of my review so I am doing the gmatclub questions here on the 600-700+ range organized per topic. I keep a general error log and i have been doing very well in individual questions (under 2 mins and 80% accuracy), but when it comes to mock exams, I either bomb them and/or leave 1-2 questions unanswered per section. My most recent GMAC mock exam, I scored a 660 (V35, Q44) with 2 questions unanswered in Verbal and 1 question unanswered in Quant. This left me very disheartened because a month ago my first mock was 650 and I can't believe I only got a 10-point increase from a month of reviewing. What is wrong with my review? Should I start overloading on mock exam practive vs question practice now? Many Test Takers who use a 'book heavy' study approach end up getting 'stuck' at a particular score level - and since your studies have been book heavy (and your recent CAT Scores are so similar) - there's a reasonable chance that this has happened to you as well. Thankfully, the GMAT is a consistent, predictable Exam, so you CAN train to score at a higher level. That having been said, you will have to make some adjustments to how you "see" (and respond to) the Test if your Score Goal is a lot higher. The pacing issue you described, while relatively minor, implies that there are some 'inefficiencies' in terms of how you're working through the Quant and Verbal sections. 1) How many hours have you typically studied each week? 2) On what dates did you take EACH of your CATs and how have you scored on EACH (including the Quant and Verbal Scaled Scores for EACH)? Weekdays I study about 6-8 hours, weekends 5-6 hours on average. I have two more practice exams but I don't want to use them yet because I don't want to waste them. What I did in the middle - I exposed myself to tougher questions, was more focused on keeping my error log, and reviewed flashcards. - I know it's a longshot but I was really hoping for a 740-750 range, especially because after I review the questions again I am able to arrive at the answer. And I am really feel like im leaving a lot of points on the floor. - I want to take it 2 weeks from now. But i am willing to extend until I hit my goal score or at least above 710. Welcome to GMATCLUB! If you are particularly looking to discover and improve on your weak areas in Quant; a subscription to GMATCLUB tests is the best way to do that. They are indeed phenomenal and will not only pinpoint your weak areas but also help you improve on them. I’m glad you reached out, and I’m happy to help. So, since you have been studying hard since January and have improved by only 10 points, you really need to look at HOW you have been preparing and make some changes right? Remember, there is a BIG difference between casually doing practice questions and doing questions on an actual practice exam. Thus, if you find that you are struggling to answer questions on a practice exam, it’s likely because you still have quant and verbal weaknesses that must be addressed. Thus, moving forward, rather than overload on mixed sets of practice questions or on mock exams, you really need to take a structured and linear approach to your prep so you are individually learning each topic and then practicing that topic until you’ve gained mastery. Certainly, if you’d like more specific advice on how to improve your GMAT verbal and quant skills, feel free to reach back out. 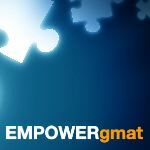 Also, you may find it helpful to read the following articles about The Phases of Preparing for the GMAT and How to Score a 700+ on the GMAT. Raising a 650 to the point that you can consistently score 740+ will likely require at least another 2 months of consistent, guided study - and you'll have to make significant improvements to how you handle BOTH the Quant and Verbal sections. Thankfully, the GMAT is a consistent, predictable Exam, so you CAN train to score at a higher level. Since your current Test Date is just 2 weeks away, you might want to consider pushing back your Test Date. There's no harm in taking the GMAT at that time, but it's likely that you've developed some 'bad habits' that will take time to fix (and replace with new 'good habits') - meaning that you'll just end up paying to retake the GMAT again later. As such, you can save some money - and aggravation - by paying the Rescheduling Fee and pushing back your Test Date.